Today’s dentures are crafted from durable materials that look more natural than ever. However, patients must maintain good oral hygiene and proper care of their dentures to prolong their lifespan. If you are experiencing pain or other issues with your dentures, a repair or adjustment may suffice. At some point though, patients will need a new prosthesis. In this blog post, Dr. James Altomare and our team review some common signs that your dentures need to be replaced. Read on to learn more, and then contact our Skillman, NJ practice to schedule an appointment. 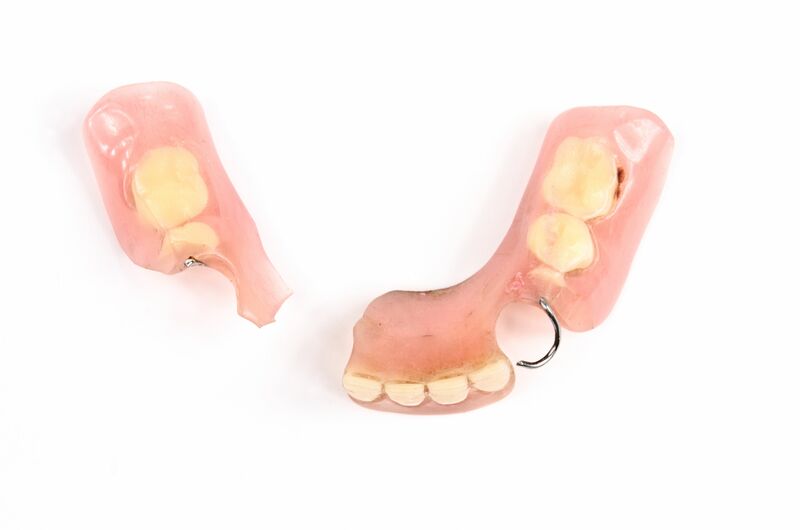 Most often, the first sign that a denture should be replaced is the visible wear and tear. The pink part of the denture may look worn down, appear dull in color, or become more difficult to keep clean. You may even see tiny, hairline fractures in the appliance, or notice damage to the prosthetic teeth. The primary task of dentures is to restore proper chewing function. As the underlying jawbone begins to deteriorate, the dentures become loose or wobbly. Ultimately, this affects your ability to chew food. Dentures also restore the alignment of the bite and the jaw joints. When the denture wears down or bone loss occurs, it can have a significant impact on the joints, leading to TMJ disorder. It is normal to have a few sores and gum irritation the first week that you start wearing your dentures. However, if you are not new to dentures and you begin to notice sores and irritation developing, it could indicate an improper fit. Dentures are designed to create a tight seal with your gums to prevent food from accumulating. It may be time to replace them if you find that more food is becoming trapped inside the dentures. Small cracks and hairline fractures can be a hiding place for bacteria, which can lead to gum infections. Dentures that no longer fit correctly can fall out while you are talking or eating. It is important to wear your dentures all through the day and remove at bedtime. Changes can occur within your mouth that will affect the overall fit if you don’t wear your dentures regularly. Regardless of the material your dentures are made from, they are still prone to chip, crack, or break. When the base breaks, the prosthesis will need to be replaced as it is no longer functional. At times, dull dentures can be brightened up by your dentist, but after years of wear, no amount of work will be able to restore it to its original shine. Let us know right away if you notice changes in the way your dentures fit. As your bone structure and soft tissues change, we may be able to reset the denture if it is caught early enough. Our team is here to help ensure your dentures provide years of comfort, function, and aesthetic appeal. If you notice any of the above signs, please contact our office right away online here or by calling 609-921-1020.